Little Mekdi smiled at everyone in her Ethiopian orphanage. Bed-ridden due to severe cerebral palsy, Mekdi suffered from extreme malnutrition, yet she was full of warmth and joy. Eden, an older girl in the orphanage, often stopped by to care for her and spend time with her. Together, the girls dreamed they would have forever families someday. In 2012, Eden’s dream came true when Marco and Michelle adopted her and her two siblings through Bethany Christian Services. Their story was even featured in a 2013 Bethany LifeLines article. When the magazine arrived, there was Mekdi’s photo in the same issue, along with other waiting children. They had briefly met Mekdi months earlier when Eden gave them a tour of the orphanage. Seeing her photo next to their family’s story struck a chord deep in their hearts. Soon Marco and Michelle’s hearts began to open to the possibility thatthey could be Mekdi’s family. On Christmas day, 2013, Marco and Michelle submitted their online application—Mekdi’s dream of a forever family was about to come true. Marco and Michelle travelled to Ethiopia to meet Mekdi on her fifth birthday. “[In the orphanage] she didn’t really verbalize, she just smiled all the time and would follow you with her eyes,” Michelle said. On their second trip last May, Eden travelled with Michelle. She was overjoyed to see Mekdi again and to welcome her to her new home. Mekdi’s health needs were critical when she arrived in the U.S., and Marco and Michelle took her to Children’s Hospital of Philadelphia. With this care and the physical and emotional love from her big new family, Mekdi’s health began to stabilize, and she is now thriving in her forever family. “All the kids love her. She is treated like a princess in our house,” Michelle said with a smile. 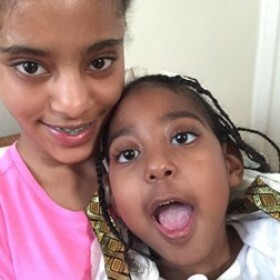 Eden does her hair every morning, and another sister loves caring for Mekdi’s medical needs. She is growing in leaps and bounds and attending a class for children with multiple disabilities. She’s very vocal now and loves interacting with her family and friends. “When she sees us, she totally lights up,” said Michelle. Eden and Mekdi’s love for each other has deepened from friendship to family. Through Eden’s prayers, and a family’s deep love, the two girls with the unique bond can now call each other sisters. 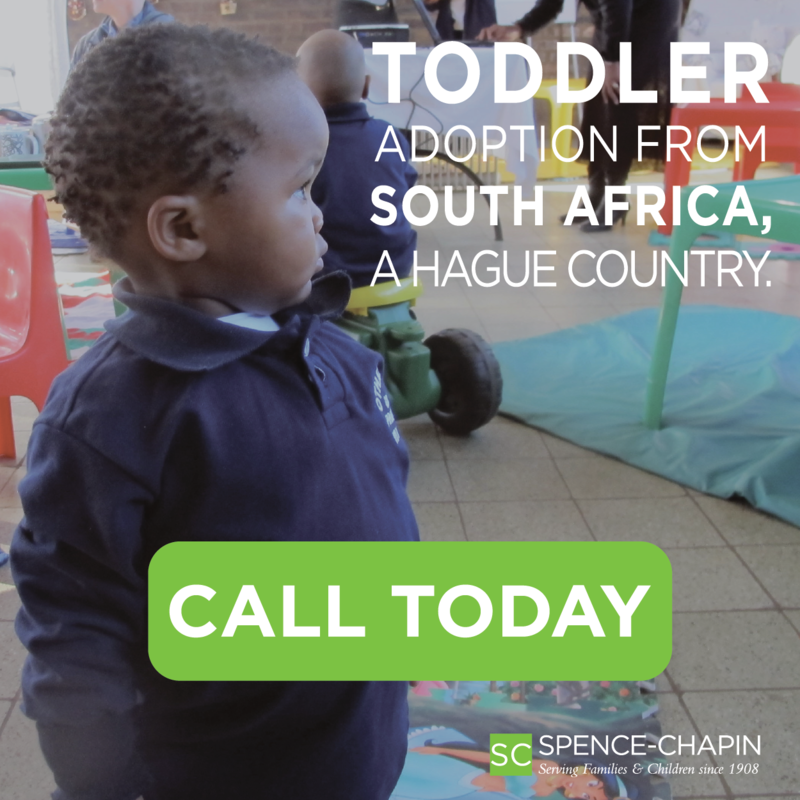 Attend an informational meeting at your local Bethany office or visit bethany.org to learn more about international adoption. Why Did My Birth Mom Give Me Up?